I’m sharing this pseudo-post ‘cos I still can’t be arsed to formulate a proper review on ANYTHING. My recent hauls are scattered around the house and I’m too lazy to get off my fat bum and round them up for a group photo and I keep forgetting to write down what I used when I do a FOTD which makes it about as useful as a chocolate teapot to anyone but me. Look! Gratuitous pics of my baby girl! 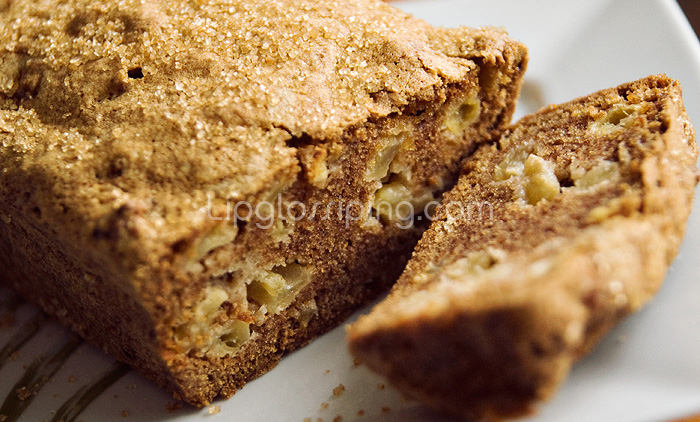 Apple and Cinnamon Cake (with a little bit of ginger thrown in aswell!) – I’m planning on doing a Banana and Baileys one tomorrow (a chopped up Mars bar might fall in to the mixture too!). What else have I been up to? 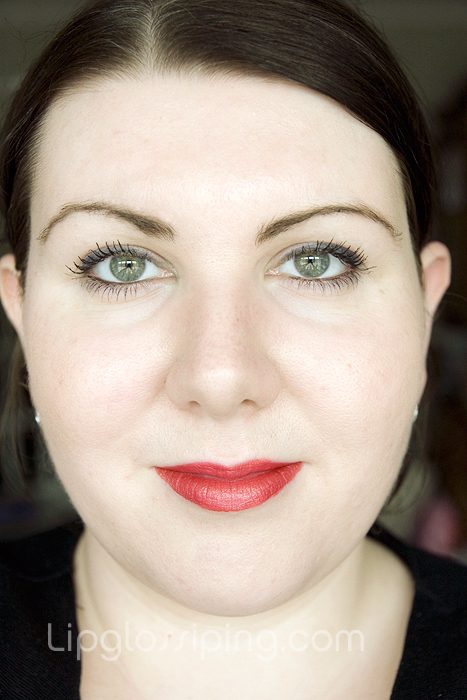 A random makeup tidbit, I wore a red lipstick today for the first time ever, well… not the first time ever, but the first time I’ve ever worn it outside the house. Revlon’s new Colorstay liquid last forever thingamibob in Top Tomato (incase you’re interested) which may be a bit warm for my skintone. sometimes these are the best kinds of posts…she’s adorable, and your photography is great! your daughter is absolutely adorable! I love the pics you got. it’s hard to get some good shot when they’re that age. And that lippie is amazing on you! 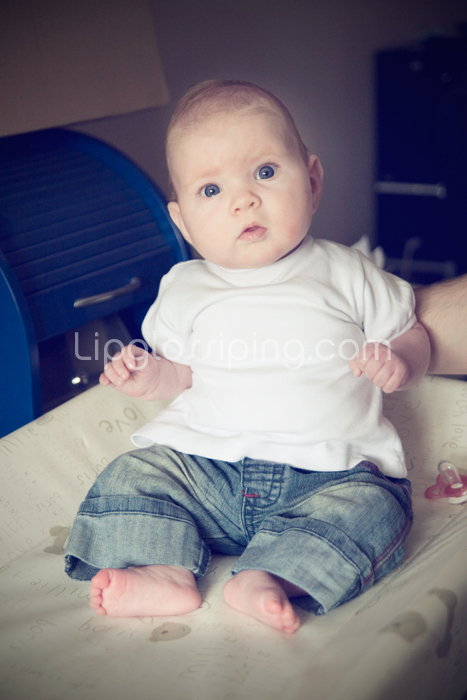 Your baby is beyond gorgeous!! Very cute little thing.. she looks so happy! And the cinnamon apple cake looks yummy! Oh – you rock the red lip look too! Your daughter is beautiful!!!! and I love the red lip on you. Understated glamour! @SukaAndSpice Thank you very much!! Hi Jenn, aww thank you very much chick! Awww bless her – look at those lovely eyes. Oh I’m broody enough as it is without needing any more encouragement!!!! You have the friggin best camera in the blogging world – I want that cake now!!! 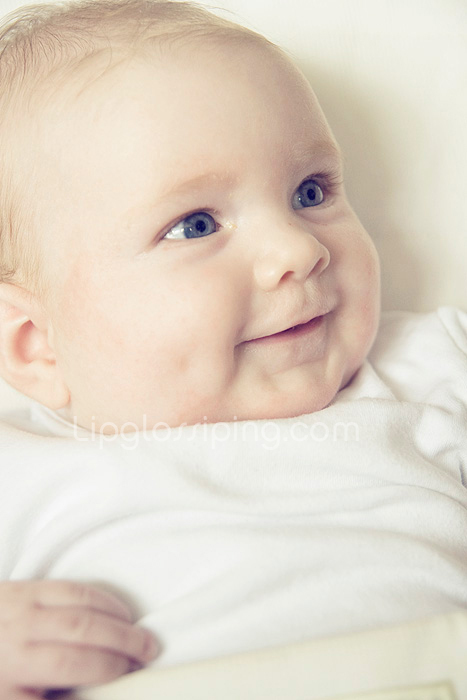 Your baby is ADORABLE!! Love that red on you! @Lipsandlashes – thank you so much! The cake was lovely, I’ve made some more since, but haven’t bettered that one. Boo hiss on the diet, but I so need to join you! If you find any particularly fab cake recipes in your new book, please do share them with me! Hands up if you want soft mitts for Summer? The Organic Surge Sale: It Ain't Over!